Thailand is a perfect destination for anyone. It is located in South East Asia and it is well-known for its food, weather, people and culture. The low-cost also attract many visitor yearly to this fascinating country. Book air ticket in advance during promotion to get cheaper ticket through skyscanner.com. Car rental booking through rentalcars.com. Make sure you have your valid driving license and get your international driving permit before you depart. Car Rental – Book online and get your car from the airport. Do make sure to indicate you need GPS because not all rental cars has GPS. Our car rental did not have GPS and they told us they have run out of GPS but luckily we have subscribe mobile data so we are able to use google map from our phone. Bring along the car charger, we have forgotten to bring along our car charger but luckily able to get one in the 7 Eleven on the first night. If you book car rental online, it is important for you to print out a hard copy of the insurance protection you have paid for. That way, the staff in the car rental will not ask you to purchase again. Some car rental insist you to purchase car insurance even you have told them you have already purchase online because they don’t believe you have already did as they can’t see it from their system. (We experience that in Japan & UK). Rentalcar.com is an online agent not the car rental company. Remember to print out the copy to show them as proof. Or you can opt out for car protection insurance when you book online but make sure you purchase with the staff when you pick up the car. Either way is ok. The key is to have car protection insurance and also don’t need to purchase twice. Driving in Thailand – The driver seat is at the right hand side, just like any other commonwealth countries. As long as you don’t go into the major big cities such as Bangkok downtown, it is pretty easy to navigate. The roads trip in outside Bangkok are wide and well paved. I am quite impressed at how well and easy to drive in Thailand. (Well, I mean outskirt and their highway). There are plenty of rest areas, just like in Malaysia highway. Well, if you can drive in Malaysia, I see no reason you cannot do it in Thailand. Nothing like Vietnam which has hundreds of bikes. Always plan and reach your destination before sky turn dark. It is very important as some places may not have the road lights. We usually reach our hotel before 6.30 pm. Parking – All parking overnight in the hotel is free. Other sightseeing parking are mostly free too. People – Thai people are super friendly and even you are lost, they are always very happy to help you out with their broken English. You will figure out a way to communicate, either with body language and face gesture and some hand sign. It is best way to test out your acting skill here. Below map show our 8 days self driving in Thailand, from Bangkok to Chiang Mai. We rented the car from Bangkok and return our car rental in Chiang Mai and flew back from Chiang Mai Airport. Rough estimation – 1120km, but I am sure we did way more than that. It was an easy, pretty safe and fun self driving experience one should not miss! 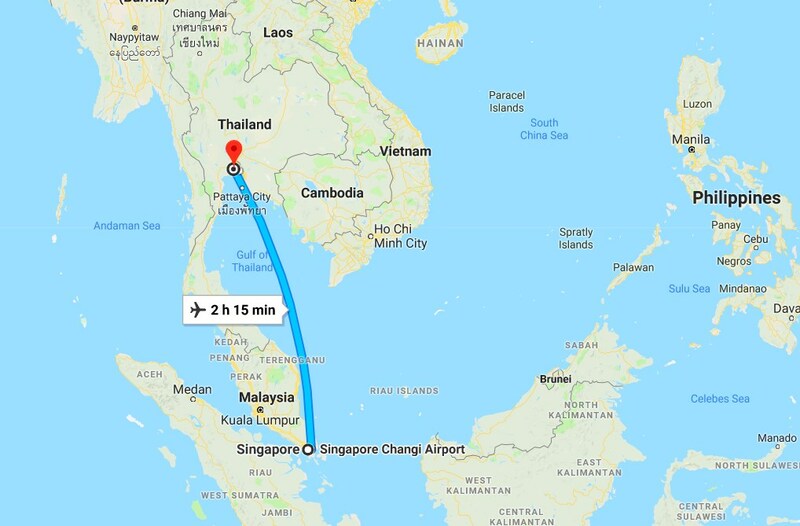 We took our car rental from Bangkok Airport and immediately drive away from Bangkok simply Bangkok is not an easy place to drive. Rule no.1 is get familiarise with the car and environment first, so always drive away from the city area to avoid heavy traffic when you just touched down to any new cities/country. Our first destination is Ayutthaya which is less than 100km from airport. It is an ancient capital of Siam after Sukhotai. It was destroyed by the Burmese in the 18th century but the ruins is still very incredibly stunning. We saw westerner tourists hired private van to visit here but you can actually do it with rental car, that way you can move up north and not returning back to Bangkok again. It is more flexible and economical. Plenty of photo opportunities everywhere. Bring along an umbrella as the ruin area is not sheltered and can be very hot. 42C The Chic Hotel is located at Nakhon Sawan, about 2 hours drive from Ayutthya historical site. The hotel is newly built and easy to find. There are also plenty of eateries outside the hotel. Sukhotai was capital of the first kingdom of Siam about 800 years ago. From Ayutthaya to Sukhotai the distance is about 350km which took us about 4.5 hours. This is another incredible Unesco World Heritage Site in Thailand. There are several temple ruins in Sukhotai and this place has lesser tourist because it sit in the middle of Thailand and without a car, it is not easy to make it here. The ruins are incredibly remarkable. Our hotel has a cultural show at night which start at around 7 or 8 pm for free. So do stay in Legendha Sukhothai Hotel, highly recommended as it is truly a beautiful resort. There are also food offering activities to the monk in early morning, at 6.30am. Sukhothai to Lampang takes about 3 hours. 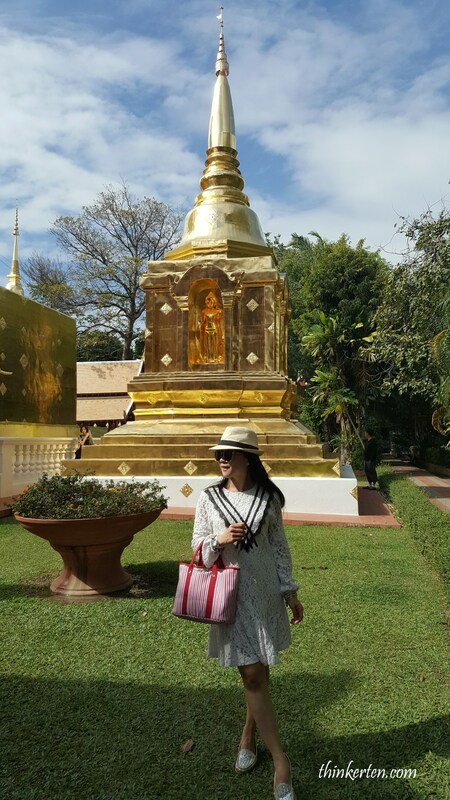 On the way, we stopped by another Unesco Site, Si Satchanalai Historical Park which is located in the mountain area. This place used to be the second home of the Sukhothai Kingdom. You don’t find many tourists here as it is not easy to reach without a car. However, it is a site worth to visit if you are on your way to Lampang. Lampang is famous for it chicken bowl and its history so visit Lampang Dhanabadee Ceramic Museum and see how chicken bowls were made. You can also hands on how to make one and bring home as a souvenirs. There is an English guided tour who walk you through the whole museum. Wat Phra That Lampang Luang is an exquisite temples 30 mins away from Lampang city. What made the temple so famous is Buddha once visited the site 2,500 years ago and donated a hair and it was still kept in the temple. Lampang River Lodge is the ideal resort for nature lover as it is located on the river banks and surrounded by nature. There are ducks and peacocks roaming freely at the hotel resort. In the morning, you will have your breakfast next to the river, surrounded by whole green forest. The location of the hotel is a bit far from city but it is not a problem if you are driving with a rental car. An impromptu stop in a small museum on the road side to Chiang Rai which displayed all sort of antique trucks and huge fancy motorbikes. Singha Park Chiang Rai has got something to do with Singha Beer. The park is very big and you need to hop on the tram to visit the park or you may want to rent a bicycle to ride around the park. Entrance to the park is free and the restaurants there are great. 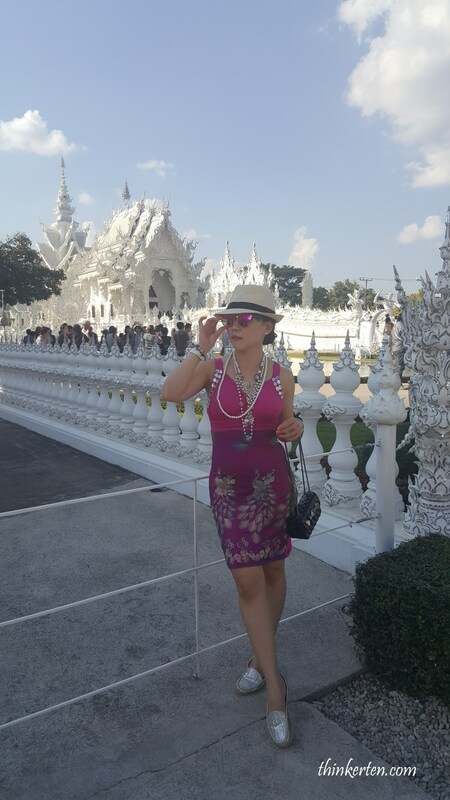 White Temple is one of the highlight not to be missed. The whole temple is white which is truly stunning to view from afar. Plenty of shopping outside the temple. Mae Fah Luang University is the most beautiful university in Thailand and it truly is. Since we have a car, we drive in to check out the university. Phufa Waree Chiangrai Resort is a simple hotel compared to the previous hotel we stayed for the past few days. It is far away from Chiang Rai city which is what we choose here as we were heading to Golden Triangle the following day and it is nearer from this hotel. Golden Triangle is 3 countries borders together, Thailand, Laos & Myanmar. It has no opium activities now. There is an opium museum nearby if you are interested to find out the opium history. The boat ride look interesting along Mekong River. Mae Salong Village is a village in the mountain area which was used to stayed by the “lost army” of the Republic of China Army’s 93 Division (Koumingtang / KMT descendants). So you will see quite a few of Chinese influence in this village including a Chinese school. This place use to be good harvest place for opium but now all been replaced with tea plantations. The market in Mae Salong offer local souvenirs, quite nice to stroll around and take picture with the minorities ethnic tribe. 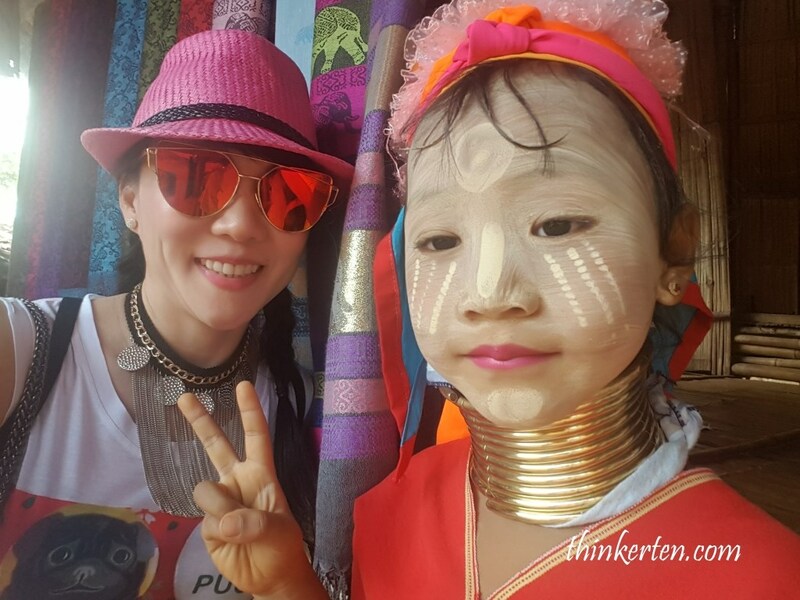 Karen Long Neck is another highlight in Chiang Rai not to be missed. Laluna Hotel is well located in the Chiang Rai City which is very near to the night bazaar. Hotel surrounded by lot of green and with a nice big pool. Chiang Rai to Chiang Mai highway is an easy drive but a bit hilly an hour before you reach Chiang Mai. Impromptu stop at Old Khmer Style temple with hot spring. 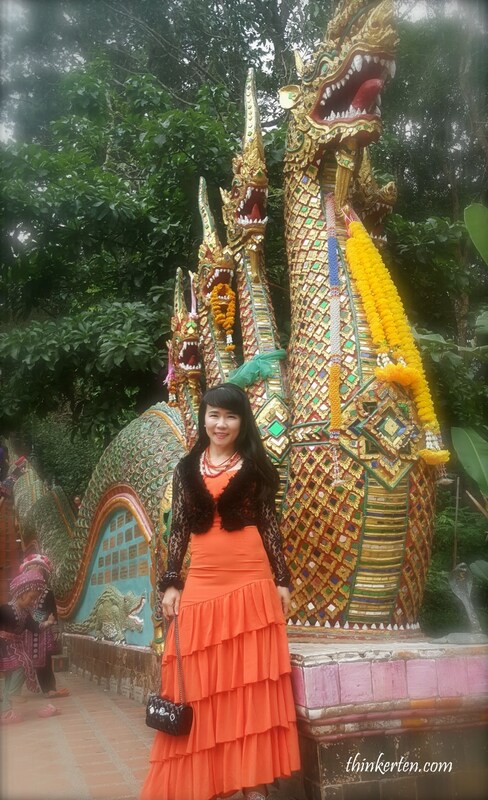 Doi Suthep temple is located in the mountain which is very famous in Chiang Mai. 300 stairs to climb up to the temple and expect lots of tourists. Horizon Village & Resort is located in the Tweechol Botanical Garden. The Botanical Garden has plenty to offer, such as free tram ride, bicycle riding, petting zoo; complimentary for guests who stay in the hotel resort. You need whole morning to explore this botanical park. 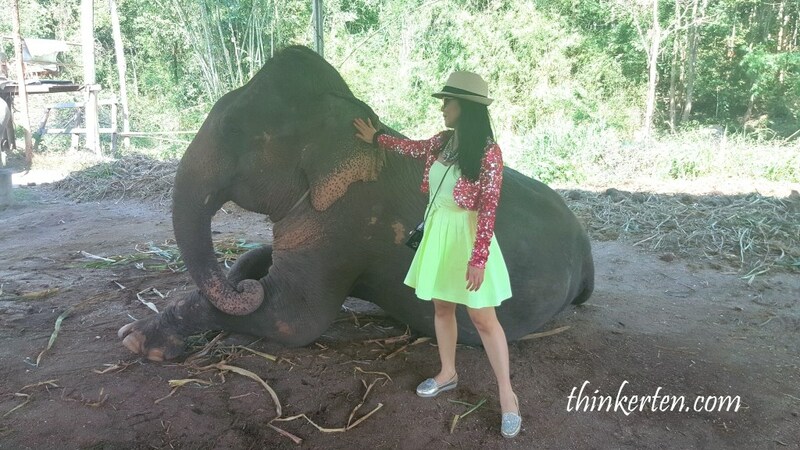 Elephant Camp Mae Wang is a must visit in Chiang Mai. Strongly suggest you to do the 45 min elephant ride through the river and jungle. You get very up close with the elephants such as feeding them and patting them. Elephant Camp Mae Wang does not have elephant show such as elephant painting and other tricks. Elephant Camp Mae Wang only offer elephant ride and the most fun part was when the elephant go down to the river and walk in the water. That was a pretty exciting experience for me. You may need to bring an extra sets of clothing in case you get wet. An elephant can sit up to 3 pax, one at the neck of the elephant and another 2 pax at the elephant back. The cost is 1000 baht in 2015 (SGD42.00 or USD 30.00 )for an elephant. Explore Chiang Mai Night Market near the Imperial Mae Ping Hotel. Nicely located in the city center. We still have the whole morning to do a city tour in Chiang Mai. The above are the important sites and temples in Chiang Mai city which you can do by walking. Moo Dad Diew – Deep fried pork marinated in dark sweet soy sauce then deep-fried. Larb Moo– minced pork and liver dressed with lime juice, fish sauce, mint leaves, onions, chilies and the essential toasted rice crunch. Nam Tok Moo – Grilled tender juicy pork is mingled with generous portions of lemon juice, green onions, chili, mint sprigs, fish sauce and toasted rice. Disclaimer – The above is based on my budget and it varies depend on what sort of hotel stay and where you have your meal at and what you buy. The meals in Thailand are relatively cheap compared to Singapore and most of our dinner we had it in our hotel. If you choose to eat out, I am sure it is going to be cheaper. We choose to eat in the hotel because we are too tired to go out to search for food and usually rest early. I have affiliate program with the following booking website, so please click at your preference booking website here to check the hotels or airbnb you like to stay for your Thailand trip. South East Asia is waiting for you and Thailand is a great place full of sunshine all year round and plenty of ruins and interesting culture. 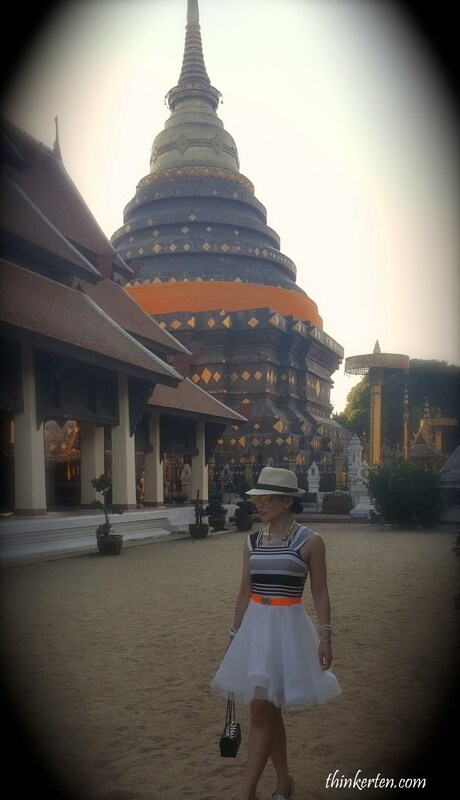 I do really love to visit Thailand for some good reason. and your photos are so stunning. I am really jealous. Thailand is definitely on my bucket list, it looks so full of history and exploration. It looked like you had so much fun exploring! Yours is the second thailand travel post i’ve seen today. what’s cool is that you have shown what its like to walk around and enjoy the culture. The other post i saw showed what the coastline life is like. two very interesting perspectives. Thailand has so much offer, I guess the one you see are beaches coastline part. My is from Bangkok to Chiangmai inland drive, more of mountain roadtrip and checking out few hundred old ruins! I love your detailed itinerary. You really fit a lot of experiences in 7 days. You are right, there are plenty to experience from Bangkok to Chiang Mai road trip! I loved seeing all your pictures, so beautiful! I’ve never done a trip like this but I can see why its important to be so organised so you can keep moving and keep on track of the inierary. It looks like you had an amazing experience! Thank you for your lovely comment. You are right about plenty of organizing and planning before hand but it was worth it. I hope my guide can help other in their future trip in Thailand. Yes, the 8 days was great but tiring. You can add in more day to do it slowly. I’ve been to Thailand once and I fell in love with the place too.. especially Thai food. They’re amazing! Thai food is really hard to resist. I would gained few kg if I stay longer. Glad you enjoy Thai like me! Looks like an amazing trip. Thanks for sharing the itinerary. Deciding what to see when is always a challenge for me. Sometimes is it hard to decide where and what to see. Well, I hope this work as a guide reference in your future trip! Very cool! I have not really considered driving Thailand before but this looks awesome! I hope it help you work as a reference guide for your future tour in Thailand! Sounds like such an amazing trip, I would love to visit Thailand and your itinerary sounds perfect. I like all the pictures and your outfits are just gorgeous. Yes, that is the Hungarian Parliament House in Budapest – so beautiful and stunning when you see it at night time through the river cruise along Danube River! South East Asia welcome you with warm weather and beautiful landscape! Thailand is definitely on my list. and it sounds like you really had an amazing time there. Your photos are so beautiful. Love your photos. This is such a detailed itinerary that anyone cane use. You provided a lot of tips. Thailand is definitely on my list. What a great itinerary, a bit longer than I usually like but you can break it up over a couple of days. I also love all of your outfits! Sounds like a fun adventure! It’s definitely helpful to be familiar with the rules and ways of doing things in other countries. I think it would be a bit hard to drive sitting on the opposite side of the car! Haha, you can always practice in the car park of the car rental for a while before hitting to the roads. That is what we did when we went to America last winter. The American driving is totally opposite from the commonwealth country too. We were kind of worried at first but before we knew it, we are on the road and completed major cites in California, some cities in Arizona and Nevada a little more than 2 weeks time. You are so perfect in writing them. Absolutely perfect. You never miss out on anything. 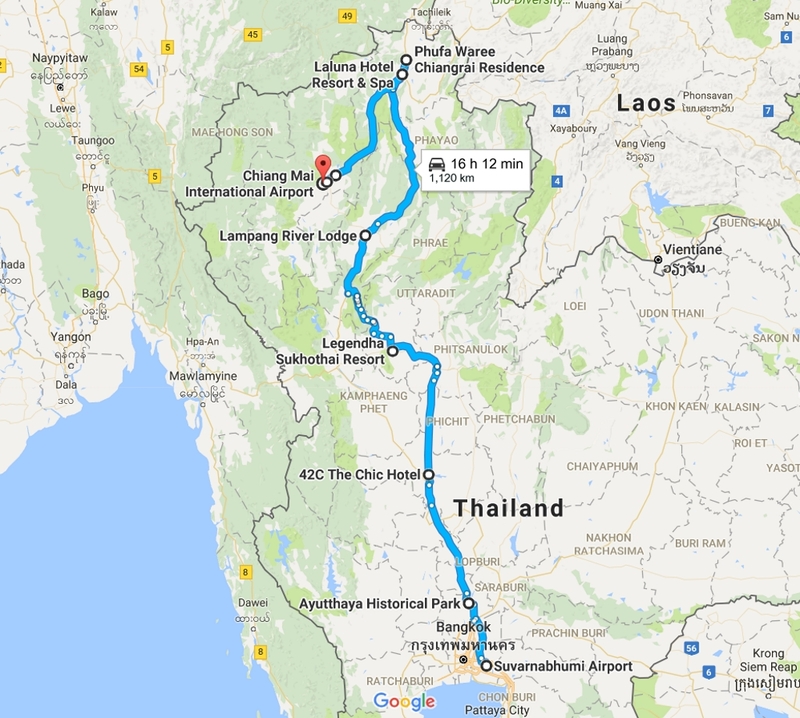 I hope this itinerary works as a complete guide when someone is looking doing a road trip from Bangkok to Chiang Mai. I have done several road trips around the world with rental cars. Country such as UK is one of the most expensive places for car parking as most attraction you needed to pay for car park. There are not many places that offer free parking. Even in most of hotel in UK, you needed to pay for car park, no complimentary free parking overnight. Over here in Thailand, the hotel usually including complimentary free breakfast and free parking. Furthermore, most attraction site are free for parking 🙂 So you are right, the most fun and happy part is having lots of free parking spaces in Thailand. Such a fun time! Thank you for all the tips on traveling there. Looks like you had a great time! Thanks for your comment. I hope the tips here can help other travellers when they do road trip in Thailand. Most highway are well paved and plenty of rest areas with good facilites such as food and toilets which quite amazed me. here one day with my family. Self driving in Thailand is super affordable and best for family with children and grandparents. A highly recommendation location in Asia. How i wish to visit there someday i want to see with my own eyes the beauty of this country and their culture., thanks for showing some of the best place that will be the best tourist attraction. Thanks for your comment. By using rental car you can go up to Sukhothai which is the central of Thailand. The Sukhothai historical park is also listed in the Unesco World Heritage site. 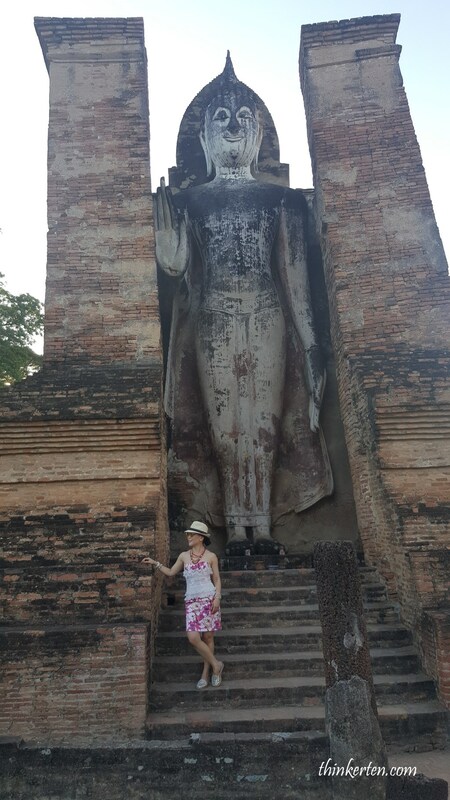 There are not many people as compared to Ayuthaya ruins as Sukhothai is harder to reach and further from Bangkok. This looks like an amazing trip! I have been dying to visit Thailand!! There are so many good reasons to travel to Thailand. Not only it is cheap and very afforadable, it also has unique culture and yes the food in Thailand is just mouth watering. Some of my favorite are the mangoes & Papapya Thai Salad, tomyum kun soup/Spicy Shrimp Soup, Green curry and Pad Thai noodles. I have never been there and it sounds like a nice place to visit, will definitely add this to my bucket list. I would love to be able to travel to Thailand one day. It looks so peaceful and relaxing, and full of adventure.